PASSIONATE is just one word to describe Blair Bowman’s relationship with whisky and when he it talks about it he almost runs out of breath such is his enthusiasm. Bowman had been interested in whisky since he was a schoolboy but it was when he went to Aberdeen University that his quest for knowledge flourished. “I established a whisky club at the university with two other students but still didn’t really know much about Scotch,” he recalls. As a student of Hispanic Studies – he also studied Mandarin at night school – Bowman spent time in Spain and was impressed by the nation’s enthusiasm for whisky. Says Bowman: “I wanted to incorporate something I am passionate about into my course so I did my dissertation on the history of the sherry casks trade between Scotland and Spain. World Whisky Day takes place on the third Saturday in May each year, Bowman was in Kuala Lumpur the week after the first-ever World Whisky Day where he met with bar owners who had held their grand opening to mark the occasion. Bowman – still not 30 – has galvanised whisky aficionados in their thousands the world over to raise a glass and celebrate whisky with a dram. And he dispels the myth that only the older generation wants to drink whisky. “Today we’re seeing brands targeting younger drinkers – both male and female – and if they can also get bartenders on their side they then have these unofficial ambassadors singing the praises of Scotch whisky, creating cocktails and making recommendations to their customers,” he says. However, Bowman warns that there is not enough training within the whisky industry. “Whisky tourism is increasing but when tourists come into whisky bars they often know more about whisky than the staff,” he points out. Bowman also wants to get the message across that people can drink whisky any way they like. “Who says you can’t put water or ice in it? Some people are overly protective about whisky,” he suggests. “If you want to drink it long with a mixer and ice on a hot day that’s OK. It shouldn’t be elitist because there’s a whisky for everyone. Bowman is the author of the bestselling Pocket Guide To Whisky: Featuring The Whisky Tube Map (with Nikki Welch) and regularly hosts whisky training sessions and multi-sensory whisky tasting experiences around the world. 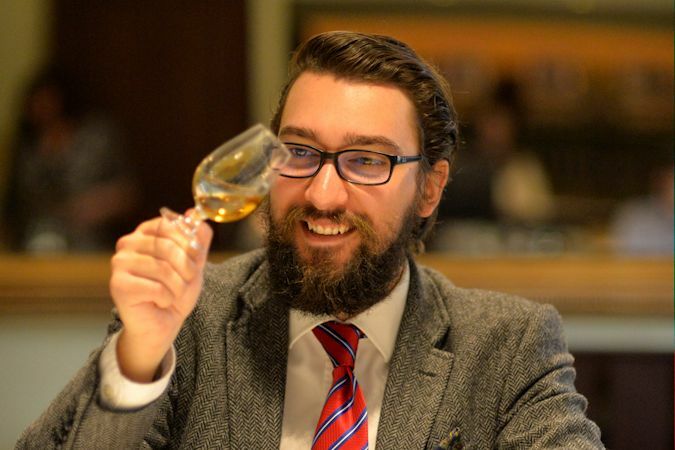 He hosts multi-sensory whisky tastings around the world, writes about whisky and gets involved in judging whisky competitions. He also brokers single cask whisky and bulk whisky sales, as well as acting as a consultant to the whisky industry on various issues.